Souhegan Valley Chorus – Come sing with us! 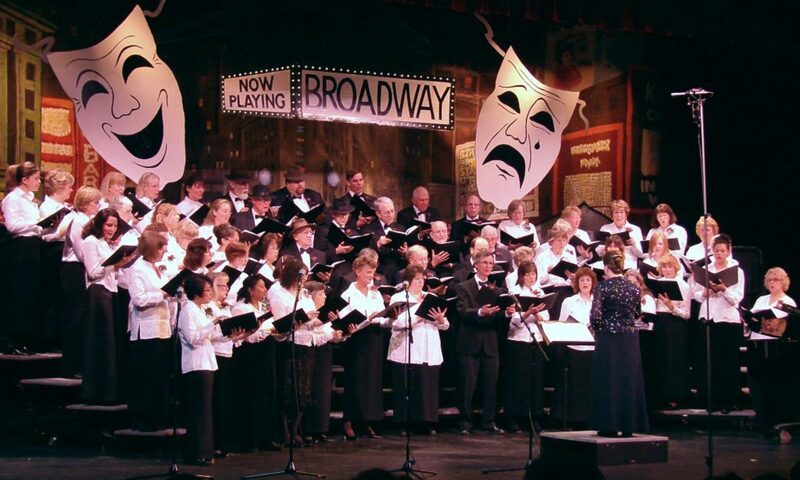 The Souhegan Valley Chorus, a community chorus in the Milford-Amherst, NH area has been performing music since 1979. We hold concerts, performing a variety of choral music from pops to light classics under the direction of Jennifer K. Erdody. Two sets of concerts are performed each season, one in December, for the holiday season, and two in late April or early May. The chorus also participates in other events, including the Milford Labor Day Parade, the Amherst 4th of July celebration, and the Milford holiday celebration in December. Membership is open, without audition, to singers from high school age through seniors who enjoy choral music. People come from towns in and around the Souhegan Valley for the weekly rehearsals that are held on Tuesday evenings from 7:00 to 9:00 p.m. usually in the Milford Middle School music room (see here). 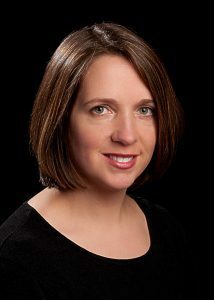 Jennifer K. Erdody, director, is the choral director at Milford High School in Milford, NH, where she directs the concert choir and “West Street Beat”, the school’s elite vocal ensemble. She also teaches Voice Workshop and Advanced Vocal Studies. On stage, she has performed the roles of Princess Fiona in the Amherst PTA’s production of “Shrek the Musical”, Rose Smith in “Meet Me In St. Louis”, Laurey in “Oklahoma!”, and Mary Hatch Bailey in Milford Area Players’ “It’s A Wonderful LIfe”. Jennifer frequently works with Souhegan Valley Boys and Girls Club’s Riverbend Youth Company, where she has served as music director for “Willy Wonka Jr.”, “Carousel” “, “The Wizard of Oz”, “Guys and Dolls, Jr.”, and “Oliver”. She co-directed “The Sound of Music” for Riverbend Youth Company, and directed “Beauty and the Beast, Jr.” and “West Side Story”. In the early winter she directs the Mont Vernon Community Messiah Sing, a long-standing choral tradition. She was named the 2009 New Hampshire Vocalist of the Year by American Mothers Incorporated and 2012 Nashua area Teacher of the Year by the Hippo Press. Jenn also works at the Palace Theatre in Manchester., and is soloist at First Church of Christ, Scientist, in Milford. Jenn is a graduate of Boston University, where she studied with Richard Cassilly. She lives in Milford with her husband and two children. Kim Whitehead , accompanist, joined SVC in the Fall of 2012. She graduated from the University of New Hampshire with a bachelor’s degree in piano and organ performance, and went on to earn a master’s degree in organ performance from Boston University. Kim is a private piano teacher, musical director for the Amherst Middle School Theater Club, and accompanist for the Milford High School Chorus. She has been organist and handbell choir director at the Congregational Church in Amherst for ten years, and she has been accompanist for the Merrimack Chorus for ten years. In her spare time, she tours with the Merrimack Valley Ringers, an auditioned handbell choir. Kim lives in Milford with her husband and three children. Bring it to your first rehearsal (please watch our calendar for dates). We have two semesters which typically follow the school year schedules. By the end of the second open rehearsal, pay the membership dues. Note: Payment of membership dues isn’t required until after the first two open rehearsals allowing time to decide to join or not. We look forward to seeing and singing with you! NOTE: Only current chorus members can access the member areas of this site. That requires a separate web site access registration.